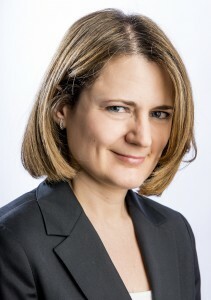 Dr Olga Kapellou has been a Consultant Neonatologist at Homerton University Hospital NHS Foundation Trust since 2009. She specialised in a number of major London teaching hospitals including University College London, Great Ormond Street, Hammersmith, Queen Charlotte’s and Chelsea & Westminster. She holds a Doctor of Medicine postgraduate degree from Imperial College on effects of prematurity on brain growth and development. The publications from her thesis have been cited extensively. She is a co-author of the New England Journal of Medicine papers on moderate hypothermia to treat perinatal asphyxial encephalopathy (TOBY study) and the effects of hypothermia for perinatal asphyxia on childhood outcomes (TOBY Children study). Her clinical and research interests include preterm and term brain injury, cotside cerebral function monitoring, neonatal brain imaging and neurodevelopmental follow up outcomes.